I tend to go feast or famine with bananas – I’m either angry because I’m craving one so badly and have none left or I’m wincing at the overflowing collection of browning ones in the fridge. Last week was the latter. After the success of the Paleo Pumpkin Muffins I made recently, I had the confidence to try another paleo recipe. These Banana Nut Muffins from Paleo Grubs (found via Pinterest, of course) were the perfect way to use up those mushy bananas because they call for FOUR overripe ones. Warning, though: they also call for four eggs, which my mom wasn’t thrilled to discover I had used without adding them to the grocery list. Oops. Bakers gotta bake, right? The Brennan Fam could probably use some new pans. Don’t judge. These were pretty easy and only required one bowl, just like the last ones. I used organic, smooth peanut butter instead of almond butter because 1) almond butter is pretty expensive and I’m cheap and 2) peanut butter is my main food group. 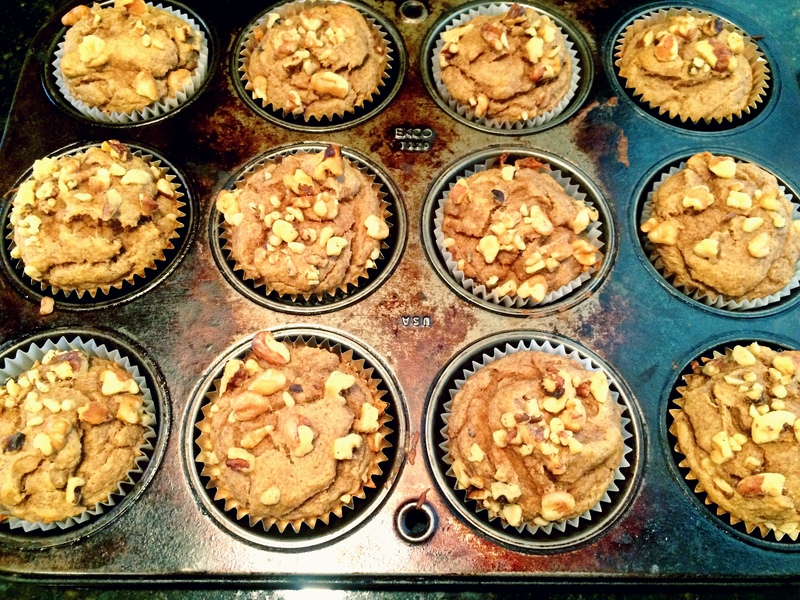 Even with – or maybe especially with – my substitution, these muffins were yummy! They’re super light which makes them the perfect breakfast on the go. I heated them in the microwave, slathered some extra peanut butter on there, and was out the door. These aren’t nearly as dense as you’re probably used to with a “regular” muffin, but as long as you know that going in you’re golden! Another warning: I forgot about the whole paleo-food-has-no-preservatives thing and kept them in a plastic container instead of the fridge. They lasted well for the first two or so days but when I went to grab one post holiday they were goners. I was so upset – but I guess you know you’ve made something good when you pout about wasting it. Have any other must-try, natural recipes for me? Let me know in the comments!